Toblerone Cheesecake - a simple, no bake dessert perfect for any holiday, special occasion, or just a sweet treat. This recipe has a special place in my heart. Almost two years ago to this day, Emmet cooked dinner for me for the first time on one of our first dates. I was totally blown away by how wonderful his efforts were and how delicious his food. For dessert he had made a Toblerone Cheesecake. This is a recreation of his dessert. This cheesecake is a real delight. By not added much extra sugar, it's not overly sweet, but still has all the deliciousness of chocolate. 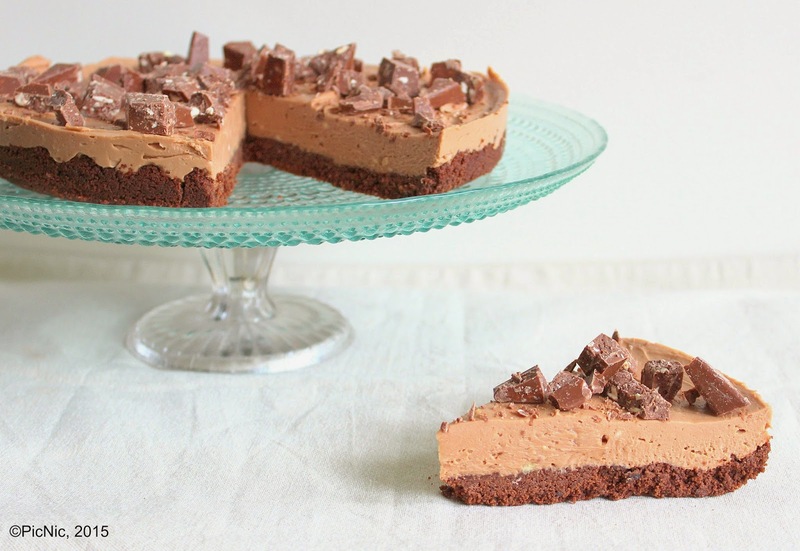 The chunks of Toblerone on top of the cheesecake provide a great addition in terms of the overall texture of this dessert. Extra Toblerone pieces and chocolate sauce. 1. Process the cookies to a crumb and add the melted butter. Process until well combined. Press into the base of a greased 25 cm springform cake tin and place in the refrigerator to chill. 2. Beat the cream cheese and sugar until well mixed and any lumps in the cream cheese are removed. 3. Melt the Toblerone in a bowl with the cream over a saucepan of simmering watering, Mix until smooth. 4. Add the chocolate mixture to the cream cheese and combine well. 5. Spread over the chilled base and refrigerate for a couple of hours to allow the filling to firm up. 6. Serve topped with extra Toblerone chunks and chocolate sauce, if desired. Can't wait to try. .. 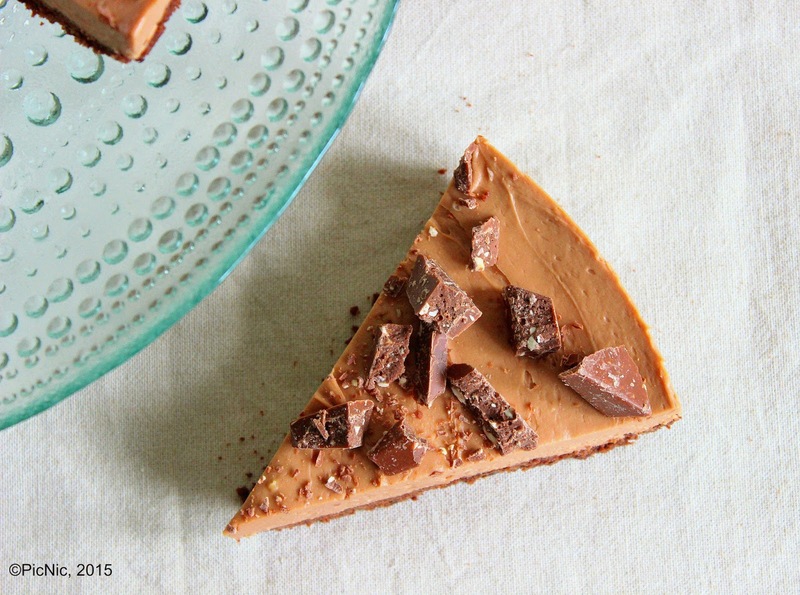 I love Toblerone, and I love how easy this cheesecake is! Pinned! 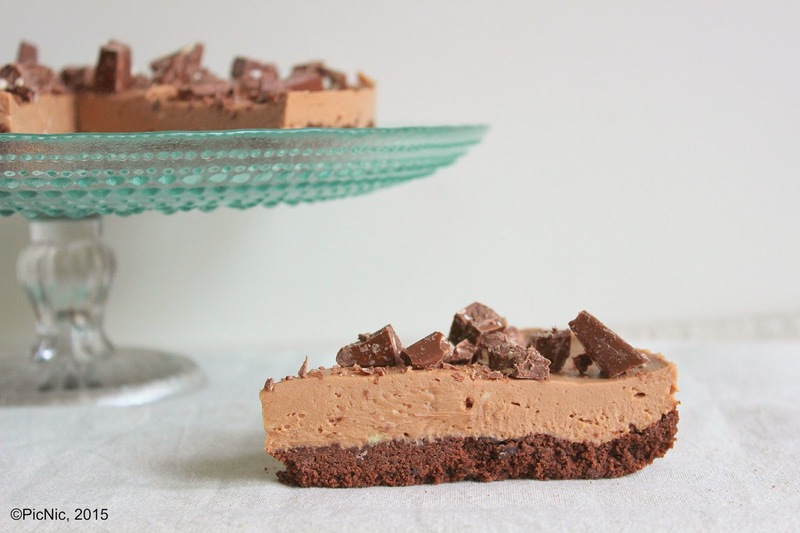 This cheesecake looks wonderful and man do I love the fact it's no bake, you got my attention here! This looks awesome! I'm embarrassed to say I have never tried a Toblerone. I've seen them but never actually bought one or tried one. I feel like this is something I need to do now that I've seen this, lol. My husband would love this cheesecake! This looks absolutely delicious Nic! 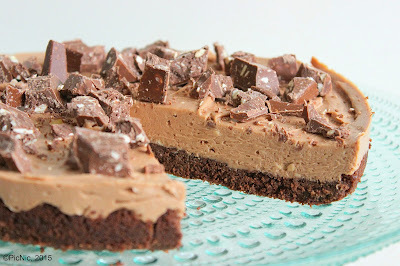 Love cheesecake and love Toblerone! I love cheesecake. Yours looks fabulous Nicole! Love the look of this cake and the Toblerone topping. This looks so chocolaty good! Toblerone is SO choice; what a fantastic and creative use of this! This no bake Toblerone Cheesecake looks amazing, I love no bake cakes and easy recipes. This is on my 'must make' list. Oh Nicole! I know that this one is on the to make list! Especially when my Honey sees it! 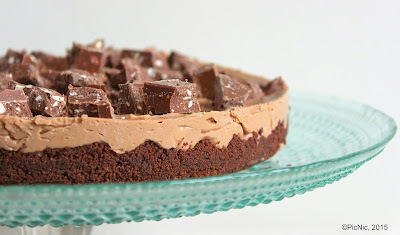 I'm seriously going to make this right now! IT looks AMAZING! I want to make this...would you please share what kind of chocolate cookie you used? Thank you!